It must be a couple of years ago now that I first learned about this book. The Book Programme had a feature where it asked authors to talk about three books they had read recently. Peter Carey was a passionate advocate for The Spare Room, and expressed the hope that it would reach a wider audience outside Australia. Now it has and I can understand why he felt so strongly. The subject matter is difficult, and I had to read just one chapter at a time, but I am so glad that I did read The Spare Room – it is quite extraordinary. The story opens with Helen preparing her spare room for a friend’s visit. She is thoughtful, practical and a little anxious – understandably so given that her friend is gravely ill. It felt completely natural to warm to Helen and to be drawn in by her narrative. Nicola is coming to stay because she isn’t fit enough to stay in her own inaccessible house and because she has put her faith in questionable alternative treatments for her cancer that are available at a nearby clinic. She either cannot or will not acknowledge the seriousness of her illness and she completly fails to recognise the heavy burden that her declining health, the side effects of her treatments and her cavalier attitude are having on her friend. The author portrays the full range of Helen’s emotions – grief, anger, resentment, frustration and, eventually, despair as she begins to feel that she really cannot cope – quite wonderfully. 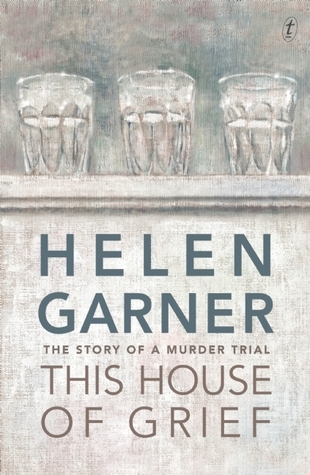 Every emotion and every incident rings true and Helen Garner writes clearly and beautifully. The Spare Room is a powerful and deeply emotional book. It was difficult and sometimes painful to read, but I am so glad that I did.